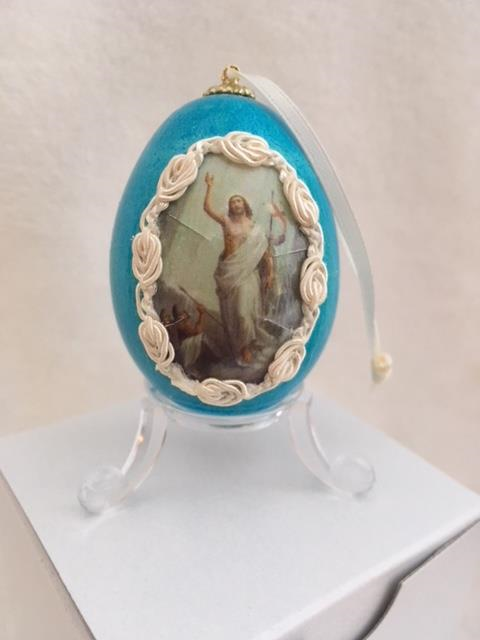 This hand-decorated, emptied chicken egg features an image of The Resurrection and is dyed in a traditional Ukrainian light blue Easter egg dye. Plastic stand included. 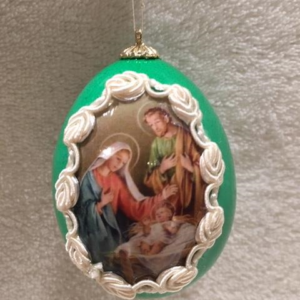 All proceeds benefit Sacred Heart Guardian and Shelter’s mission to care for the youngest, smallest human beings.